The First Growths of Bordeaux are among the greatest, most desirable and longest lived wines available anywhere. They represent the very best of what the Medoc has to offer; four of the five (Lafite, Latour, Margaux and Haut Brion) were marked out in the original 1855 classification with Mouton Rothschild joining in 1973. 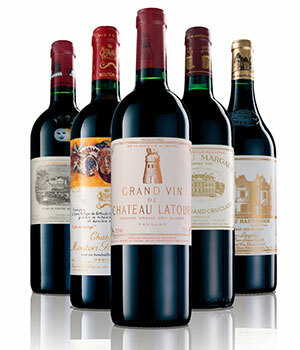 The Bordeaux first growths are unique as a set of wines. Not only are they of the highest quality and subject to significant demand, production at each estate is also significant, thus enabling a real and liquid market to exist for trading. It is for this reason that they form the backbone of our two-way trading system, LiveTrade. In addition to these five magnificent wines, there are several from the Right Bank, and La Mission Haut Brion from the Graves, which reach equally dizzy heights and deserve a level footing. The highest grade in St Emilion, Premier Cru Classe 'A', was originally awarded to just Cheval Blanc and Ausone before being joined in 2012 by Pavie and Angelus. From the finest portions of terroir on the Pomerol plateau come the legendary wines of Petrus and Le Pin, both of which achieve ethereal quality and have tiny production; global demand for these is therefore considerable. Last but not least is the venerable La Mission, just across the road from Haut Brion, under the same fastidious ownership, and capable of achieving true excellence - as evidenced by 6 vintages with perfect, 100-pt scores from Parker.